Membership has its privileges, especially membership in the Peach Regional Chamber of Commerce. As a member investor, you can reap unlimited returns on your investment with the Chamber's exclusive member benefits. 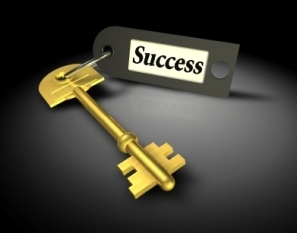 Let us help you get your own key to success. The Peach Regional Chamber of Commerce promotes the local economy by encouraging Chamber members and area residents to shop locally. All referrals given out by the Peach Regional Chamber of Commerce are members. The Chamber of Commerce website has detailed information about local businesses in the community. The Chamber also provides many educational opportunities throughout the year. The Peach Regional Chamber of Commerce promotes the local community in a variety of ways. We provide free listings of community events on our public community calendar as well as visitor and relocation information for out-of-towners. The Chamber's Annual Dinner promotes local residents with awards. Aside from helping the local community as a whole you will also receive the following discounts for being a member: a 3% to 5% discount on insurance from Blue Cross Blue Shield and a 10% discount from AutoOwners Auto Insurance. The Peach Regional Chamber of Commerce promotes networking by sponsoring Business After Hours Mixers at local businesses. The mixers are an excellent opportunity to meet other Chamber members and learn about their businesses. There are many great events the chamber helps provide to help member businesses in our area and to help provide opportunities for our members to network with other business professionals. The Peach Regional Chamber of Commerce represents business concerns to local, regional, state and federal entities. While you keep your business running, the Chamber watches your back on issues like Workers Comp, Healthcare, and job killer anti-business bills. Future plans call for key legislative information to be provided on this website. The Peach Regional Chamber of Commerce receives calls from people all over the country asking all types of questions. Any and all referrals go only to members of the Peach Regional Chamber of Commerce. The Peach Regional Chamber of Commerce also furnishes relocation, visitor and business information to those who request it. Members can take advantage of these opportunities by supplying us with brochures, rack cards or business cards for insertion in these packages. Included in your membership investment is an alphabetical and categorical listing for your business/organization in the Peach Regional Chamber of Commerce Business Directory. This guide goes out annually to the entire membership, who are asked to use this resource prior to picking up the Yellow Pages. These directories are sent out in relocation and business packets as well. Your business is listed free of charge in the Business Directory on the Peach Regional Chambers website with a link to your website. There are three ways a Chamber member can be located: 1) alphabetically, 2) typing a key word, contact person or name of the business, or 3) searching for a business by classification. Under an agreement with our web services provider, basic websites are created if desired, at a reasonable charge, for members without their own sites. The Peach Regional Chamber of Commerce is here to provide your business with the necessary information, whether it be local, regional, state or national, to keep you aware of what is happening in business, and help answer your business related questions. You can access demographics, visitor, community, non-profits, clubs/organizations, community events, legislative, employment and educational information from the website, newsletter and staff resources. Membership in the Peach Regional Chamber of Commerce provides you with an opportunity to get involved, if you so choose. Members are invited to join a committee and add their voices to an area of their interest. Your level of involvement is completely up to you; the more you are involved, the greater the benefits. V Inexpensive Promotional Opportunities The Peach Regional Chamber of Commerce provides its members with opportunities to promote their business/organization in the monthly Chamber newsletter and with banner ads on the Chamber website. Contact the Chamber for pricing and additional information. Members of the Peach Regional Chamber of Commerce are provided discounts at a number of participating businesses, including (list businesses and discounts here). Chamber members have an opportunity to offer other Chamber members and their employees discounts on goods and services while promoting member-to-member business. Present your chamber membership card at participating businesses and receive savings the merchant offers on products and services. Coming soon: Chamber members will be entitled to free copies of the Chamber membership list for promotional mailings.